Preston goes to U.K. for IOSH-04 Conference, en route to Zambia. Here are some photos from the United Kingdom leg of Preston's Adventure of April and May of 2004. 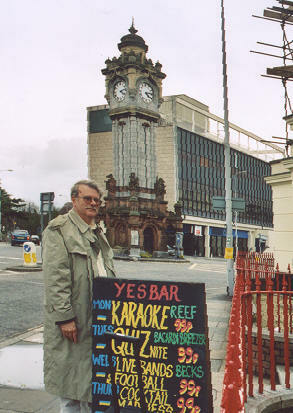 Preston in Exeter. This is one of the haunts of the Drake family and their ancestors. 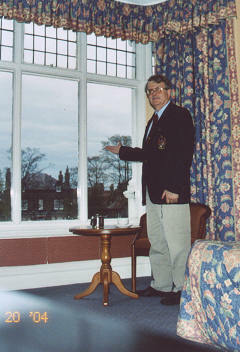 This is Preston's room at the Cairn Hotel in Harrogate where he attended the IOSH-04 Convention. 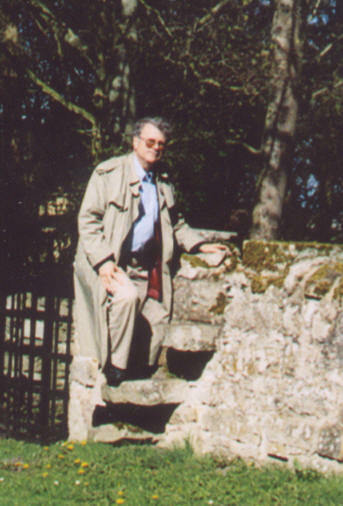 Mounting a stile on the wall of the ancient churchyard of ruined Saint Peter's Kirk in Duffis, Scotland where Preston's Scot immigrant ancestors came from. Such a structure attests to the intelligence of sheep. Special thanks to the staff of the Caledonian Hotel of the Thistle Group in Aberdeen, Scotland, for showing wonderful Scottish hospitality. Preston in Trafalgar Square in the heart of London. Needs to take better aim with the camera. Lord Nelson's monument is out of frame to the left. 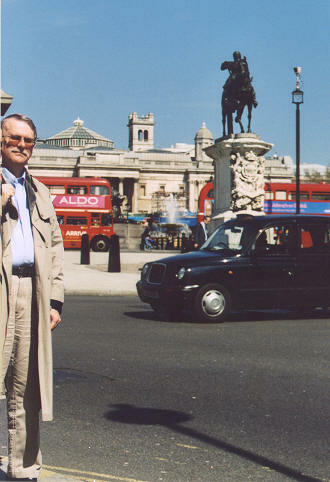 Preston in Parliament Square in London. 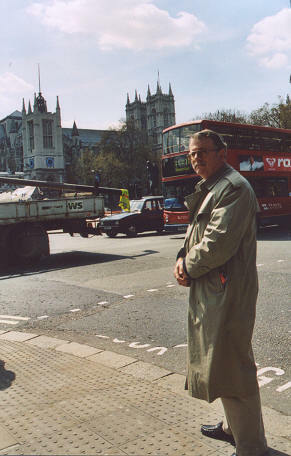 Westminster Abbey is in the background, along with a London bus and the statue of Churchill. 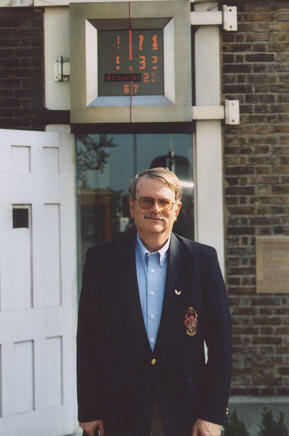 Preston astride the Greenwich Meridian. Jolly good show! East and west meet. Next, Preston was off to Zambia. Follow the links. You will see Preston's trip to a mine, side trip to Victoria Falls, and the meeting with the chief of the Bemba Tribe, Chikwanda VIII.